This is my Grandfathers backyard. 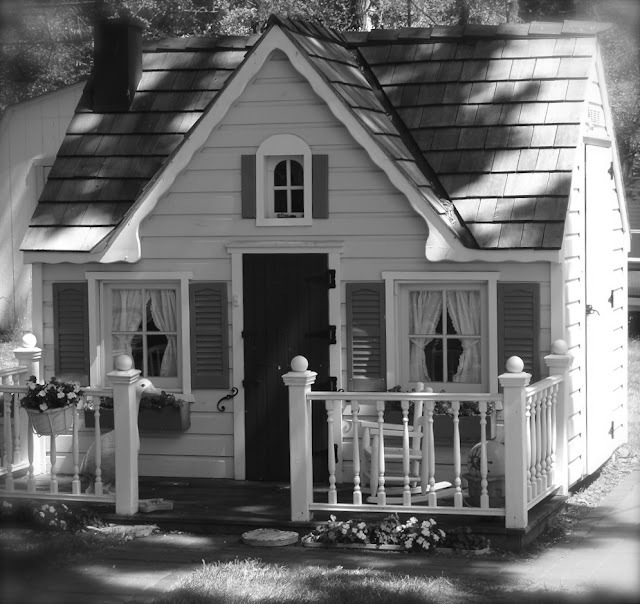 He purchased this adorable playhouse in Northern Michigan from an Amish Carpenter. Isn't it to die for? It's fully furnished with hand crafted furniture, a kitchenette, loft, and is heated, and wired. Brickpaver paths lead the way from the main house to the front porch. The window boxes are always loaded with blooms. 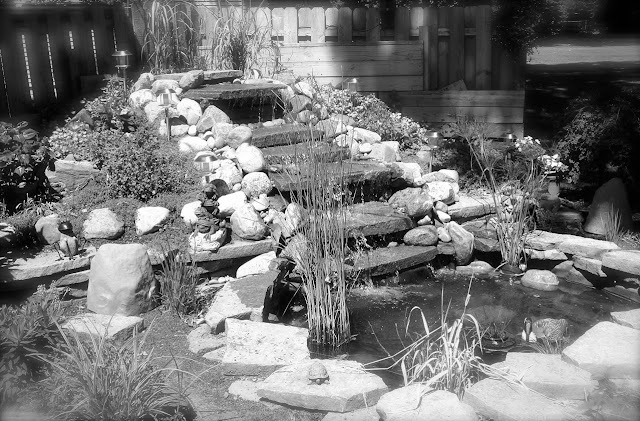 Just outside the playhouse is a waterfall and stocked Coy Pond. It is a child's fantasy. Sometimes I ...the kids... play here for hours. Wow, that is gorgeous! My girls would never want to leave, lol.